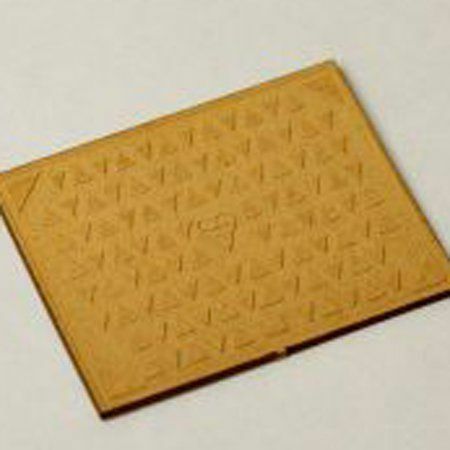 A pack of 15 laser cut & engraved 1:24 scale rectangular manhole covers. Designed to be flush mounted (embedded) into a model road surface or can be surface mounted for a raised appearance. Simply remove from the fret, paint the manhole covers in your desired colour, then glue them into place. 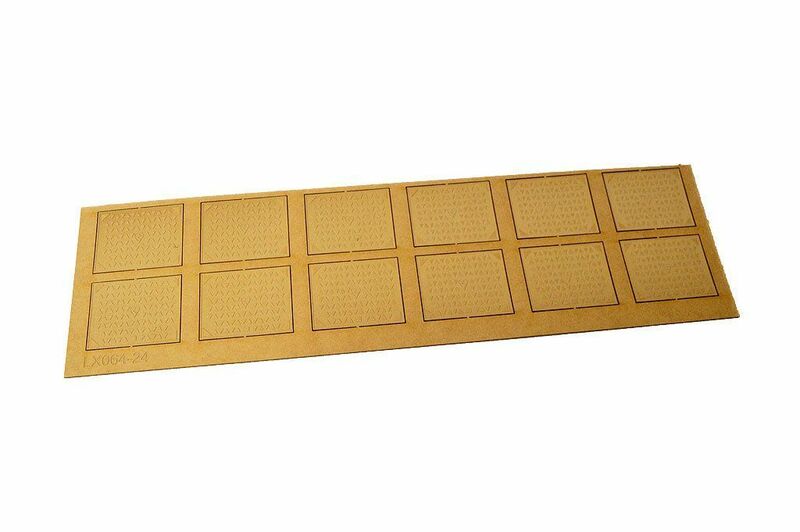 Laser Cut 0.4mm laserboard - You only need a knife to gently release the parts from the sheet, all cutting is done for you! Perfect for any 1:24 or 1/2" scale model railway layout or diorama. Deluxe Materials Roket Card Glue (Recommended) - A fine tipped applicator is essential.